Car Free Earth Day is an annual car-free event, which will be held this year on Saturday, April 27th, the Saturday immediately following Earth Day. 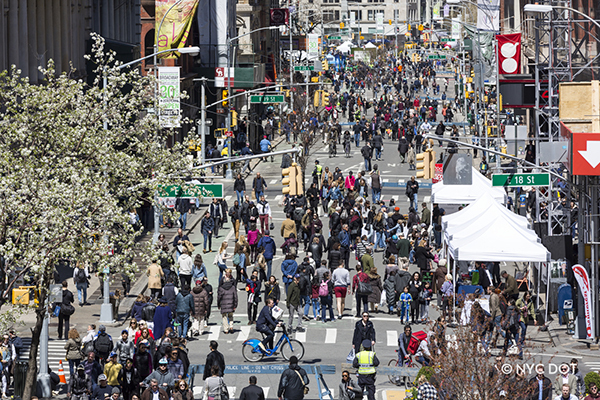 The Event opens thirty blocks of Broadway from Times Square to Union Square for people to explore on foot during event hours, 9:00 AM to 3:00 PM. Programming is presented at six rest stops: Times Square (42nd Street and Broadway), Garment (38th Street and Broadway), Herald Square (34th Street and Broadway), City Zone (26th Street and Broadway), Flatiron (23rd Street and Broadway), and Union Square (17th Street and Broadway). Environmental programming is offered by City agencies and nonprofit organizations along the route to promote activism and education surrounding climate change, sustainability and other relevant topics. Visit DOT Flickr for images of past Car Free Earth Day events, www.flickr.com/nycstreets. 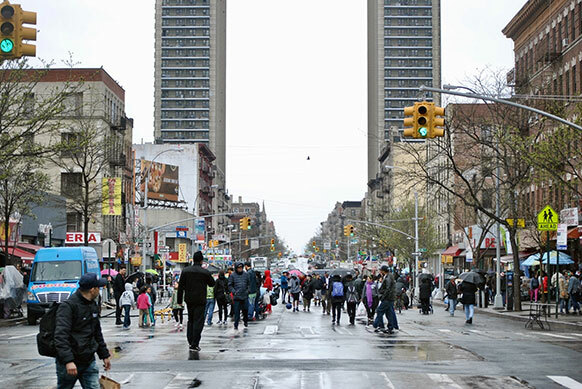 In uptown Manhattan, Car Free Earth Day opens up 9 blocks on St. Nicholas Avenue from 181st Street to 190th Street. 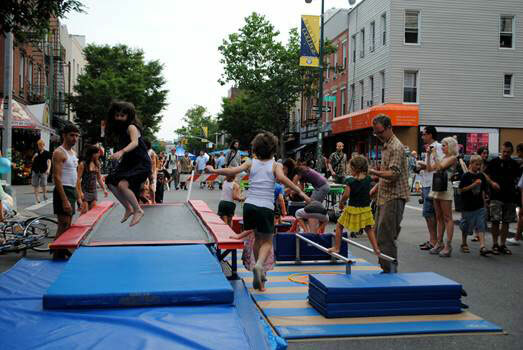 All along the street there will be performances and educational programming highlighting the importance of sustainability, tackling climate change, and rethinking how we use our streets. Come join us between 10am and 4pm! For updates, check our Facebook page, www.facebook.com/CarFreeNYC/. All five boroughs will be hosting Weekend Walks events on Car Free Earth Day! Featuring art and cultural activities, active lifestyle activations, movies and fun for the whole family!